Astrid Marie Nøkleby (born 1961) studied the trombone with Aline Nistad (principal trombone in Oslo Philharmonic Orchestra) at Østlandets Music Conservatory in Oslo from 1981-1985. Since then, she has been teaching the trombone in different local music schools in Norway. Today she is permanently employed in Asker and Bærum Community near Oslo and Manglerud Upper Secondary School in Oslo. The age of her trombone pupils ranges from 4-19. She has developed a special teaching method, “Rett på musikken“ (“On to the music”) adapted to the youngest ones. 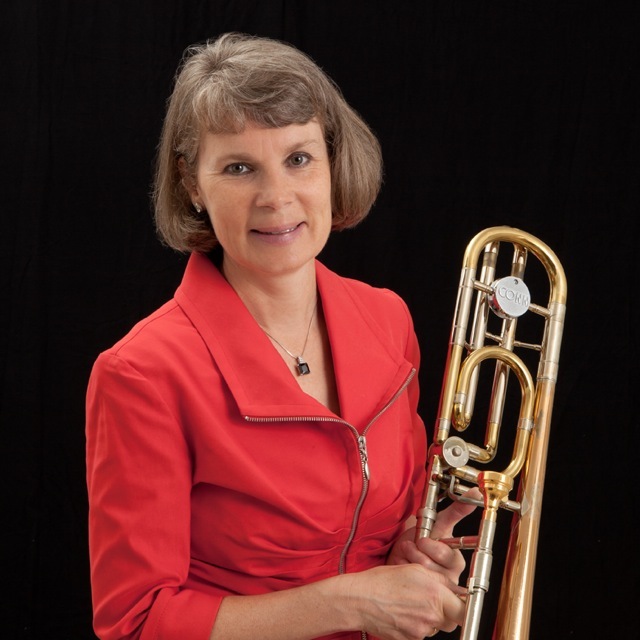 She has had a teaching guide and trombone method in two levels published so far. Astrid plays both the alto and tenor trombones and enjoys playing in a trombone quartet. She also enjoys playing the sackbut in an early music ensemble. Astrid has always interested herself in how to improve her own teaching and she likes to learn more about how other teachers teach. “Improve your practice” by Paul Harris is one of the books she has translated into Norwegian. During the past years she has also participated at the Blekinge International Brass Academy in Sweden. Since 2009 she has been on the faculty of the Jr. ITF.